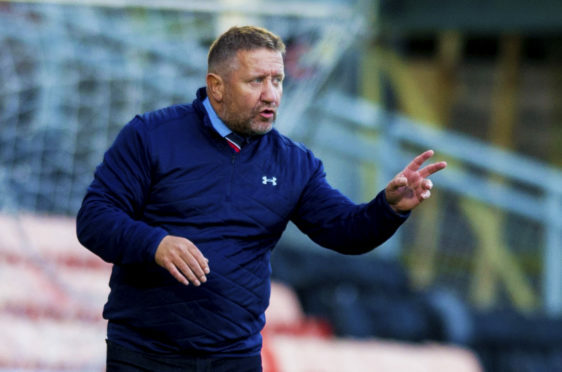 Caley Thistle manager John Robertson says his side’s Championship target for the season will be clear come the midway stage of the campaign next month. Inverness remain the only undefeated team in the league, with Saturday’s 1-0 victory away to Partick Thistle moving them up to fourth in the table, eight points adrift of leaders Ayr United. Although Robertson has been encouraged by his side’s opening 13 matches, the Caley Jags boss says he will reserve judgment until the second round of fixtures has been completed. Robertson said: “Ayr United and Ross County both dropped points, so we look at that and say that’s a wee bonus to a certain degree. It helps – there’s no doubt about that. “As we have said all along, when we are playing in four sections of nine games, the first quarter is just about getting as many points on the board as we can. “After 18 games we will take stock. We will have played everybody home and away, which will take us up to Morton away on December 22. Robertson, whose side travel to Queen of the South on Saturday, is determined to lay strong foundations for the business end of the campaign, and he added: “This time last year we were looking at the relegation aspect of it before we started moving up the table. “Every manager will tell you the same, we will all look at it after 18 games and take stock of where we are.